Luck Be A Lady: the Northwest goes to BHOF; Behind the Burlesque Curtain video teaser. This weekend four Seattle burlesque performers- and two from our sister city of Portland- will compete in Las Vegas during the “21st Annual Tournament of Tease” at the Burlesque Hall of Fame Weekend & Reunion. Miss Indigo Blue and Lily Verlaine are up for the coveted “Miss Exotic World, 2011 Queen of Burlesque” title; Iva Handfull and Randi Rascal are up for “Best Debut” along with Portland’s Angelique DeVil and Charlotte Treuse. BHOF weekend also features several nights of non-competitive showcases including “Movers, Shakers, & Innovators”, in which Waxie Moon (Seattle) Inga Ingénue (Seattle) and Nina Nightshade (Portland) will appear. The Swedish Housewife has had a hand in producing the 54th Annual Burlesque Reunion Showcase, which will feature Kitten Natividad, Joan Arline, Marinka, April March, Toni Elling, and a host of other untamed ladies. 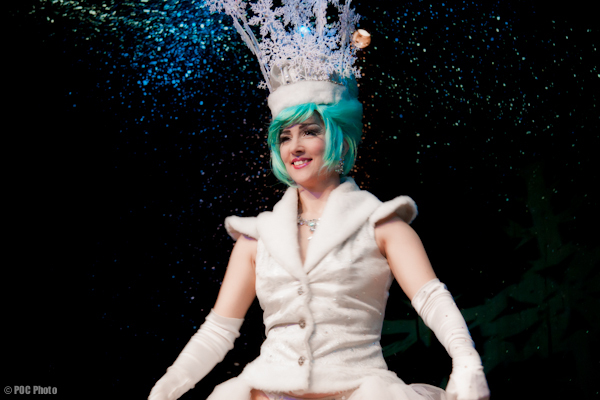 Each year countless other performers from around the globe as well as a glittering tidal wave of burlesque aficionados migrate to Vegas to witness the proceedings and meet the legends. The history of this pastie-studded exodus to BHOF is as lovingly passed down as a hand-sewn Swarovski brassiere. The makeshift museum started by Jennie Lee on a goat farm in Helendale, California has since relocated to Las Vegas (along with burlesque matriarch Dixie Evans) and has been growing ever since. In the meantime, Paul O’Connell of POC Photo has been diligently shooting behind-the-scenes video with the Seattle competitors, collaborating with the performers (as well as Madeline Rider and yours truly with Burlesque Seattle Press) for the first in a series of shows focused on burlesque. Where better to launch a pilot than in our own talent-rich burlesque city? 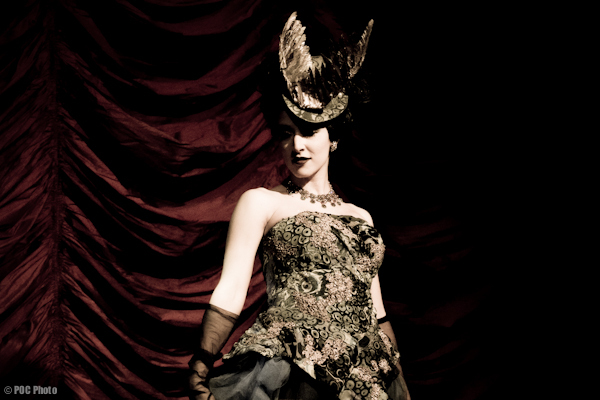 The first installment of this experimental new series focuses on the Seattle performers bound for Burlesque Hall of Fame 2011 Weekend. Miss Indigo Blue, Lily Verlaine, Iva Handfull and Randi Rascal appear in their private boudoirs, speaking about their art as well as what it means to be a part of burlesque history in Vegas. The forthcoming featurette will spotlight this moment in time and of course…what happens next. Come see what’s behind the glitz and glam of the art of the tease of four Seattle burlesque performers as they get ready to head to Las Vegas to compete at this year’s Burlesque Hall of Fame weekend. Discover the divine toil behind all those rhinestones and sequins. Learn how they seductively remove gloves, stockings and other slippery accoutrements. Witness the perspiration and the passion invested in perfecting the art of the tassel twirl. And finally, meet this year’s BHOF contenders from the Northwest…GOOD LUCK TO ALL! ~ by angrytruffle on 06/01/2011.